I’ve had quite a few short-sighted children come through the doors this month and it reminded me of an image of Chinese school children. 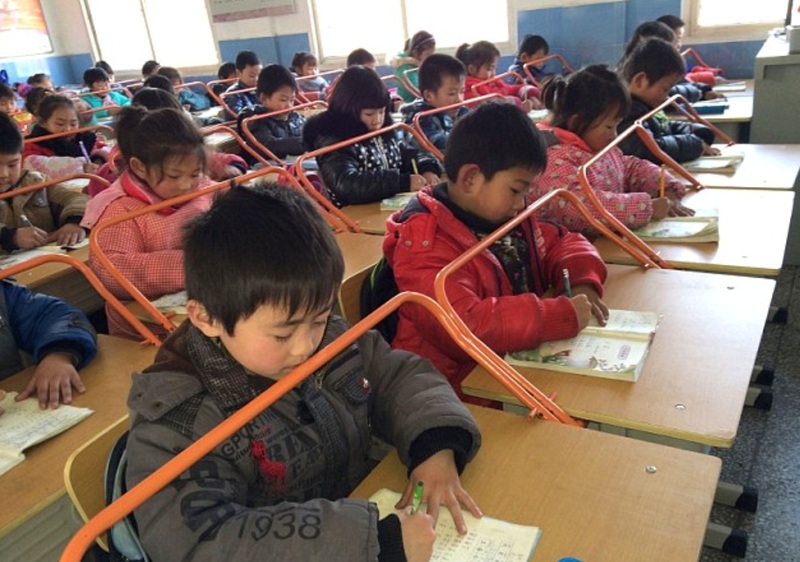 In China, some 41 per cent of children need glasses, whilst another study from 2011 found that 85 per cent of university students were short-sighted. This compares to around 20-30 per cent in the UK. Some Chinese schools have taken an interesting step to try to halt the increased incidence of short-sightedness in the country, putting bars on desks to prevent children getting too close to their books. Short-sightedness or myopia is known to run in families so genetics always play a part. However there are environmental factors such as intensive close work that are also known to impact on eye development. The Chinese continue to top the international educational rankings however the long hours spent studying could well be a contributing factor to their declining sight. Spending around 13 hours a day studying at school plus extra tutoring and homework, going to bed late and getting up early, could well be taking its toll. Obviously we all want our children to learn but eyes need rest like all parts of our bodies. So, far from discouraging your studious child, do encourage them to take breaks, get them outside to give their eyes a rest. It could well help their sight in the longterm.